This Friday, November 11 through November 26 the Art Spirit Gallery at 415 Sherman in downtown Coeur d'Alene presents the Steve Gibbs Benefit Show with all proceeds going directly to the trust for Steve, the owner of the gallery, who has been diagnosed with ALS. The reception is Friday from 5 to 8pm. Go theartspiritgallery.com for all the details. 'My Spokane: A Vintage Look at Spokane Through the Screenprints of Chris Bovey' opens this Saturday, November 12 at the Northwest Museum of Arts & Culture. 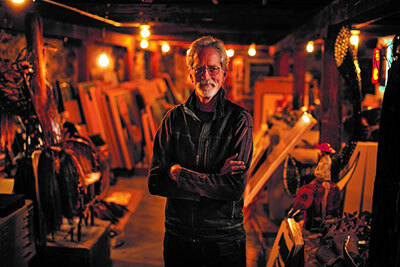 32 of Bovey's iconic images of Spokane are on display. Go to www.northwestmuseum.org for details. Pavel Baleff returns as guest conductor conducting the Spokane Symphony for a performance of dazzling works from Scandinavian composers this Saturday, November 12 at 8pm and Sunday, November 13 at 3pm at the Martin Woldson Theater at The Fox. Chinese pianist Fei-Fei Dong, winner of the 2014 CAG Victor Elmaleh Competition, a top finalist at the 14th Van Cliburn International Piano Competition and an emerging star of the concert world, is the soloist. Musical selections include Niels Wilhelm Gade's Hamlet, Edvard Grieg's Piano Concerto and Carl Nielsen's Symphony No. 4, 'The Inextinguishable'. Tickets available at the box office, by calling 509-624-1200 or at www.ticketswest.com or 800-325-SEAT. It's 'Some Kind of Wonderful'...'Beautiful, the Carole King Story' is going on now through Sunday, November 13 at the INB Performing Arts Center. Ticketswest has your seats at www.ticketswest.com or 800-325-SEAT. 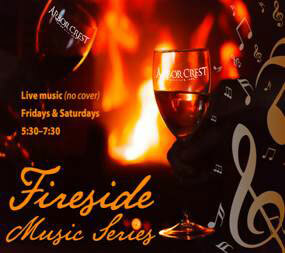 Arbor Crest Wine Cellars' Fireside Music Series continues with three great nights of music, starting tomorrow, November 10, with Spare Parts Duo performing their blend of Pop/Rock/Folk. On Friday, November 11, singer-songwriter Just Plain Darin is back for another great performance. Since it's Veteran's Day, there will be a 25% off single bottles all day, exclusively for Veterans. (active duty, retired or expired military IDs accepted as proof of service). And on Saturday, November 12, Ron Greene will be on hand, playing groove-oriented, soulful alt-pop music. Performances run from 5:30-7:30pm all three days. No cover. Arbor Crest is also having their annual Fall Case Sale now through Sunday, November 13 with 50% off select wines. Visit arborcrest.com for more details. 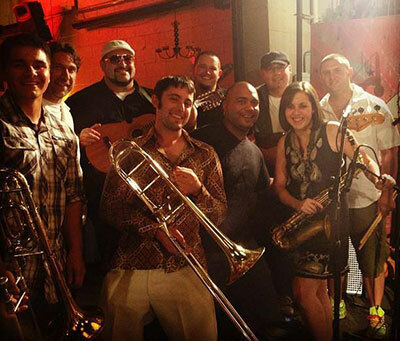 This Saturday night, November 12 at 9, The Reserve at 120 North Wall presents MILONGA, the Inland Northwest's Best Latin Band. Cover is just $5. Go to thereservespokane.com for more information. Four time Grammy winner, Olivia Newton-John has sold over 100 million records. She has five Number One and ten Top Ten Billboard Hot 100 singles. Eleven of her singles and fourteen of her albums have been certified gold. You can see this legendary star this Sunday, November 13 at 7:30pm at Northern Quest Resort and Casino. Go to northernquest.com for tickets and more information. Holy Names Music Academy presents a one-of-a-kind experience this Sunday, November 13 at 2pm featuring 16th century to modern day music that will lift your spirits. The performance is at Gonzaga University Student Chapel 3rd Floor College Hall on the Campus of Gonzaga University. Mary has inspired composers and musicians for centuries. Enjoy this beautiful concert filled with music of devotion and works that span the centuries. The concert is in honor of Steve Schaubel. For more information, contact Holy Names Music Center at 509-326-9516.